I feel very strongly that women should not only carry a firearm, but be very knowledgeable on the gun they carry, know gun safety and know how to very accurately use their gun. Women and children are vulnerable and I feel today, more than ever that women should be knowledgeable on the varying ways they can protect themselves and their families from two and even four legged predators. Not to mention, it is our RIGHT! Ladies, if you are unfamiliar with a firearm, you can get assistance with AGirlAndAGun website. I highly recommend them and know that you will be well taken care of. I had the privilege to interview Julianna Crowder who established A Girl and A Gun. They are spread out all over the United States and I am sure there will be a chapter near you. As a woman that regularly carries a firearm, I’d like to also recommend the FlashBang holsters because they are designed for women by women and therefore they are light in weight and are available in varying styles to accommodate your attire and carrying preferences. 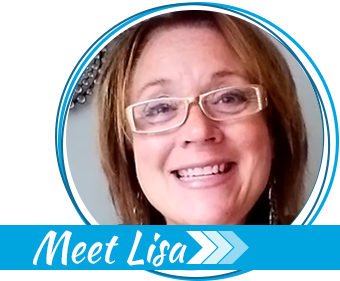 I also had the privilege to interview Lisa Looper owner of FlashBang Holsters. I had a hard time finding a comfortable holster and one that did not leave my hips sore after a long trek until I found the FlashBang holsters. Another for-women-only holster that has been reviewed on this blog is the Can Can Concealment Holster. Once I became a mother, my whole world changed. It was no longer just about me, it was about how I could protect my children no matter what the circumstance. The only thing more important than my family is God and their livelihood is always my first concern. Being sure that I am capable of protecting them became of utmost importance to me. Ladies, I’d like to leave you with one last thought regarding firearms. We were out adventuring one day and we left in a rush. I forgot my pistol and my husband said to me “GREAT, so who is going to have my back?“. That is all I needed to hear and I have never gone anywhere else without it. It is just as much a part of my attire as are my shoes. That event was a tragedy, for sure. I stand by the point of this article, however. Concealed handguns have saved the lives of too many people facing violent aggressors. To not have been armed would have meant their deaths. There will always be tragic accidents as long as there are people in this world. Drivers are killed in car accidents while wearing seatbelts. Children die in bicycle accidents while wearing helmets. That doesn’t stop us from using protective gear. A gun is no different. If you’re not comfortable using one, that’s fine. Personally, I feel naked when I have to leave my gun behind. I carry concealed because I don’t want people to know that I’m armed — That gun is for my use only and only for self defense. I’m not interested in stopping an armed robbery or confronting a linebacker-sized shoplifter, but I do want to be able to defend myself if the time comes when my life is in danger. Yes it was a tragedy and not taking anything from that but why was the purse left near the child. It’s one of the biggest things to remember when you carry. Always keep it away from children! I say this with love and light, not with condemnation. Search your heart, realize that common sense is just not so common any more. Exactly right! The WalMart incident was a tragic accident, and my heart goes out to that family. However, how many toddlers have been run over by a vehicle in a driveway, or have fallen headfirst into buckets/toilets, and car accidents claim far many more lives than guns each year. I could add many things to this list. A professor from Florida State University’s Criminology program estimates that guns are used in personal defense about 3 million times a year in this country. FBI stats say 1.5 million times, but either number is huge. Guns are actually fired less than 20% of the time in these instances. So how many lives of potential victims have been *saved* with guns? We’ll never know because, well, someone didn’t die. Women are targeted by criminals because we are physically weaker and therefore a more easy victim. Guns may not guarantee a good outcome, but they at least give us an equalizing option. I’m willing to take that chance over the alternative. What if they get the gun away from me and use it against me? Won’t happen. They’ll have to beat me to death with it, because the gun will be empty by the time they get to me if they continue to advance. If they do that, they didn’t have good plans for me anyway. I will add, that I believe the safest place for a gun, if you’re a mom, is on your body. It’s much more difficult for a child to get a gun if it’s on your body rather than in your purse. If you do choose to do a purse carry, get a purse with a cross-body strap that has a cable running through it to prevent a slash/grab of your purse by a thief. Gun-Toten-Mamas’ purses and others have these. Most dedicated carry purses have a specific pocket with a holster for the gun. Put ONLY your gun in this compartment. This keeps other things from possibly getting in the way of the trigger. KEEP THE PURSE ON YOU AT ALL TIMES. Also, safely practice practice practice drawing your unloaded gun from your purse. 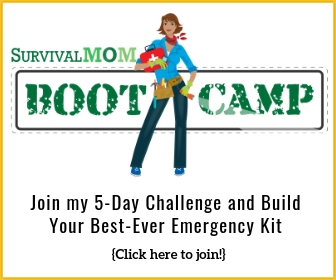 I will add these resources for women: Kathy Jackson has a great book called “The Cornered Cat: A Woman’s Guide to Concealed Carry.” Another excellent website is thewellarmedwoman.com hosted by Carrie Lightfoot. Knowledge is power if only if you access it and use it appropriately. Stay informed and stay safe! 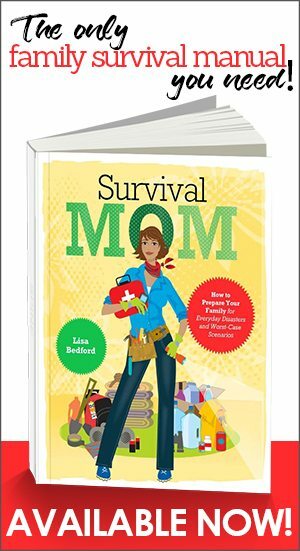 Thanks, Survival Mom, for your excellent and quality resources that you offer all women (and lots of guys, too! 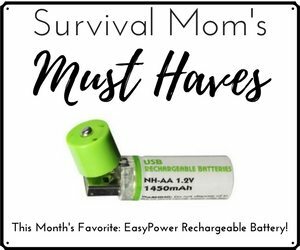 ), not just moms! I wanted to thank you for the post. This is a very important topic that all American mothers should discuss. That being said. It is a moral imperative that much soul searching be done first and that you (mothers) are not feeding your own egos or your paranoia. As well, a staggering number of parents and children in this country are taking medications with psychotropic affects, or are dealing with emotional issues and the stresses of everyday life in this changing country of ours. One should think carefully about carying a weapon if ones own life is not in good order to do so. I would suggest that besides your well thought out guidelines regarding education and training, one should very thoroughly consider the overall mental health of the whole family involved in a decisions that has such profound consequences. I too, am a mom and a grandmother of 7 now. I carry. I carry whenever I can, although I am not allowed to at work. Because of the through training I received, I am also much more aware of myself and my surrounding when I am NOT carrying. I do not carry in a pocketbook, as that pocketbook is not always in my control, and control is imperative. The walmart mom did not have control of the situation, as awful as it was. Now, I read a lot of information before my critical decision to carry a firearm, and I also recommend the website and book, “The Cornered Cat”. I hope that I never ever have to show my firearm to anyone. Some days it feels so much a part of my waist that I forget it is there. Some days I am very thankful to know it IS there. Carrying is a personal choice and one to make if you have considered it carefully. 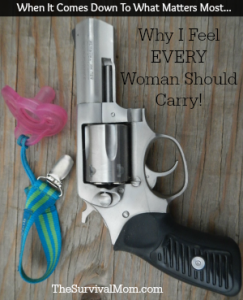 I am glad–so glad I have the choice to carry. I have mixed feelings about a concealed weapon. I have no problem with carrying a weapon for protection of yourself or your family in these crazy times. However, you have to have a license t carry it and from what I am reading and anticipating, if guns are outlawed the government will go after those they KNOW have guns first. If your name is not on a list, you are not as vulnerable to someone knocking on your door and demanding you hand it over. I am open to your insights about this possible (and probable) scenario. This was great and I want my concealed handgun license, but I’m worried that I would be too distracted to carry a gun. I have a 6 year old and a 3 year old and my first thought is to carry in my purse, but that would be a problem because of the distractions of said children (pretty much what you commented above). My fear is forgetting it’s in there and then one bad decision leads to another. But wearing it in a holster sounds so…bulky. And where do you keep your gun when your driving? Do you still wear it? Sorry if these questions are silly…I really have no clue about where in the world I’d keep my gun where I wouldn’t forget about it and it end up in the wrong little hands. Thanks! Patty, if you’ve ever bought a gun on paper, you’re already on a list. Same goes for a hunting or fishing license, any shooting, hunting, reloading supplies online, etc….you get the idea. Might as well go get your concealed carry license and make it legal. That way if you ever Do needed to use it, you won’t be considered the criminal. Could one of you describe an instance when you think you might actually need to use that gun you brought into Walmart or Kroger? I, for one, can’t think of a reason when I would EVER need to “protect” myself at a restaurant or grocery store. Really? You haven’t heard of terrorist attacks in Paris, Tel Aviv, and dozens of other locations around the world? How about the McDonald’s shooting in Waco and dozens and dozens of other workplace shootings. They can happen anywhere and everywhere. Where did you find the left handed revolver? Hi Lisa, I was just wondering what type of gun you recommend? What do you carry? Laura, I have fallen in love with the Baby Glock, 9 mm. Thank you for a very informative article. I have been thinking about purchasing a gun for two years now. I looked on youtube for reviews for the Baby Glock 9mm and there are a few. I am not sure but what does Gen 3 or Gen 4 mean? I assume it is the next generation of the newer model? I have called our local gun range for information and they offer a woman’s 4 hour course along with 1 hour practice at $75.00. I think this is the logical way to start learning about guns if one is not familiar with them, combining the safety knowledge and quick thinking for yourself in a situation. Another good organization for guns and women is Well Armed Woman. My daughter and I participate monthly. Meetings are very informative and shoting practice is essential once the conceal carry is obtained.